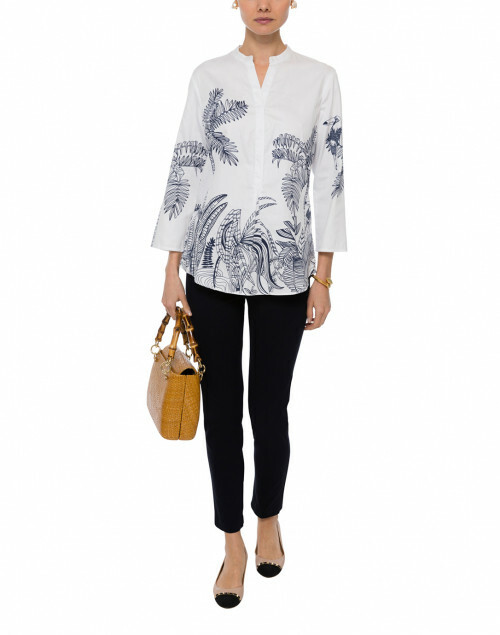 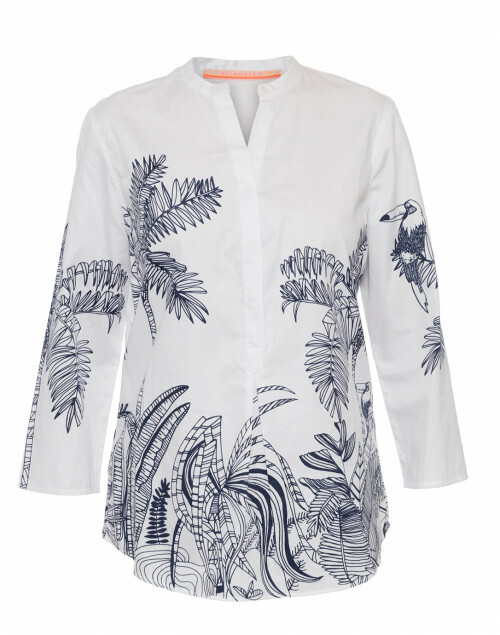 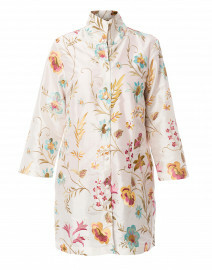 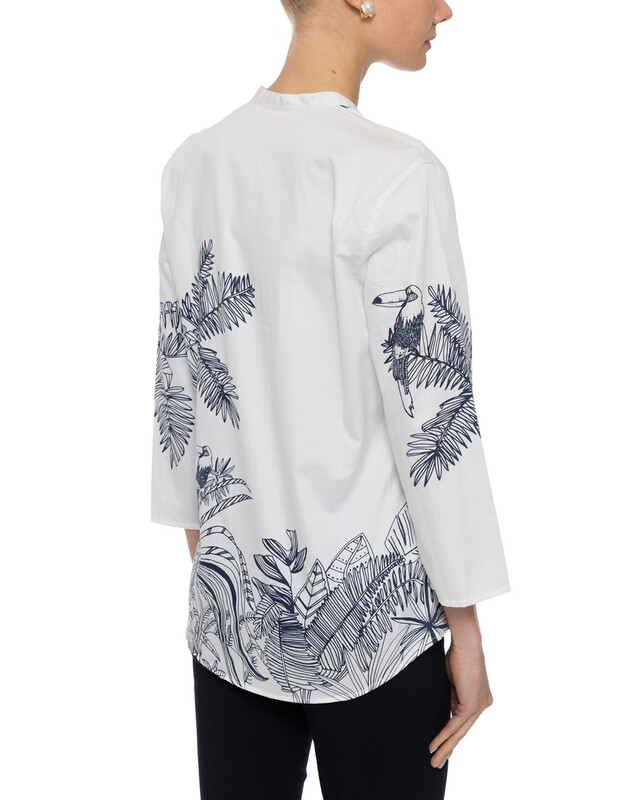 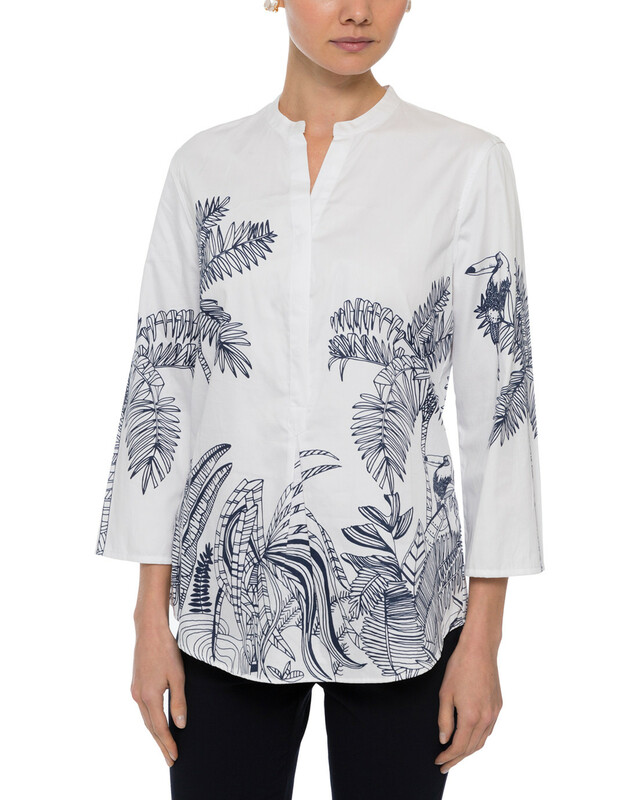 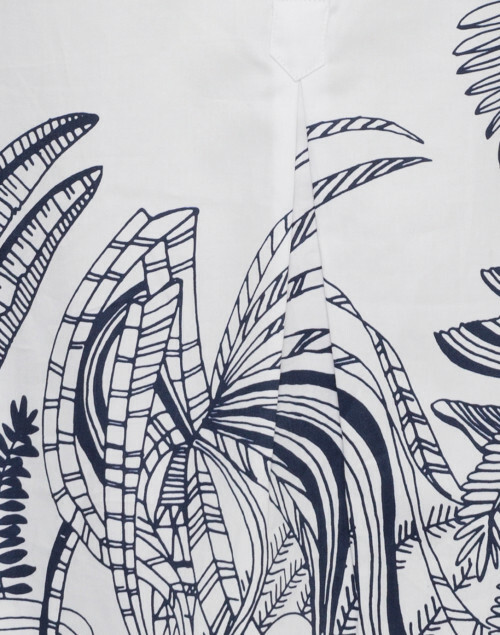 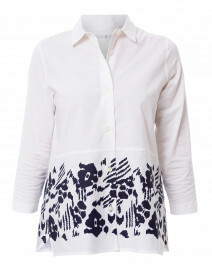 Vilagallo's white and navy leaf printed shirt is a charming choice for the summer months. 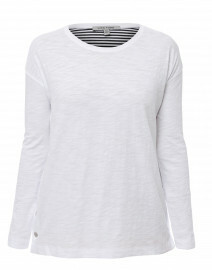 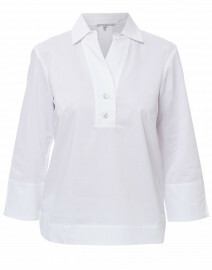 It's crafted from cotton poplin to a 3/4 sleeve silhouette with a split henley neckline. 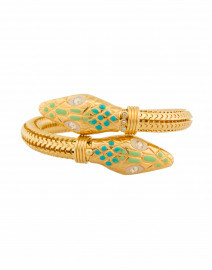 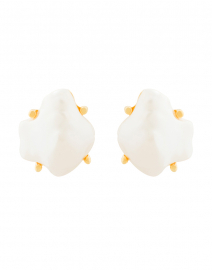 Team it with relaxed pants and flat sandals for a weekend stroll. Length 27.5" 27.5" 28" 28" 28" 28" 28.5"
Shoulder Width 16" 16.5" 16.5" 17" 17.5" 18" 18.5"
Bust 40" 42" 43" 44" 45" 47" 49"
Waist 38" 40" 41" 42" 43" 45" 47"
Hip 38" 40" 41" 42" 43" 45" 47"
Sleeve Length 18.75" 18.75" 19" 19" 19" 19" 19.25"